Karnataka Secondary Education Examination Board is expected to announce the Class 10th Result 2018 today. While the Karnataka Secondary School Leaving Certificate or SSLC exam ended April 6 this year, 51 candidates were debarred from examinations for indulging in malpractices. The result will not be released by Education Minister, instead, the results will be released by the Karnataka education board officials. 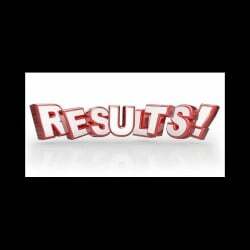 The results will available on the board’s official website kseeb.kar.nic.in and results.amarujala.com. 11: 35 AM: Results Declared, Overall Pass Percentage 71.93% . 11: 25 AM: SSLC Results declared. 10: 45 AM: SSLC Results to be announced on 07/05/2018, read a notice on the official website. 10: 30 AM: Karnataka SSLC result to be declared after 11 AM. 9: 30 AM: Education Minister will not announce the result today. Instead, KSEEB officials will announce it. 9: 00 AM: Result for Class 10th examinaton will be out in few minutes. 7: 45 AM: Lakhs of students are eagerly waiting for their results. 7: 15 AM: The board will declare the result at 11: 00 AM. How to check SSLC (Class 10th) Result 2018? Step 2: Enter Roll Number. Step 3: Click on Submit option. Note: The entire team of My Result Plus wishes all the students best of luck for their results.